Windows XP and Office 2003 are dead. Look I said it. I am being real here, most people don’t even drive cars that old, why should your technology be? Thus, Windows XP SP3 and Office 2003 will go out of support on April 8, 2014. If your organization has not started the migration to a modern desktop, you are late. It means you should take action. Running Windows XP SP3 and Office 2003 in your environment after their end of support date may expose your company to potential risks, such as, Security & Compliance Risks, Unsupported and unpatched environments are vulnerable to security risks. So if that old PC you are running suddenly dies, you will be forced to move to something newer and it will be painful time consuming task. This option has upside well beyond keeping you supported. It offers more flexibility to empower employees to be more productive, while increasing operational efficiency through improved security and management. It also enables your organization to take advantage of latest technology trends such as virtualization and the cloud. If you already use an iPhone or iPad, a Mac will feel instantly familiar. That’s because OS X and iOS have many of the same apps and features — Safari, Mail, Contacts, Calendar, Maps, and more. And thanks to iCloud, the apps on your Mac work together with the apps on your iOS devices.2 Whatever you do in apps like Mail, Contacts, and Calendar on your Mac happens on your other devices, too. So, for example, a contact or a calendar event you add on your iPhone also appears on your Mac. You can send driving directions from your Mac to your iPhone. Add a meeting to your calendar on your Mac and receive an alert on your iPad. Even start an iMessage conversation on your iPhone and finish it on your Mac. 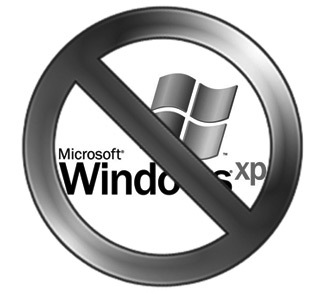 So should companies continue running XP, even after support ends? Sewelltech has been providing solutions for Macintosh users in the Dallas/Fort Worth metroplex for almost 20 years. We are committed to providing the service and products necessary to assist our clients in their entire computer and technology needs. Our technical services range from simple desktop support and warranty work to developing a company wide network plan and executing it.